Thank you for considering Feigenbaum Dental for your oral healthcare needs. The primary goal of our family-oriented dental practice is to help patients achieve a healthy beautiful smile and sustain optimal dental health. We achieve this goal by remaining committed to providing our patients with gentle and professional dental care within a comfortable, relaxed environment. 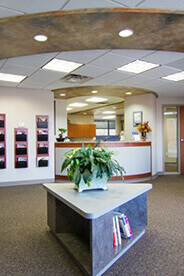 Our dentists have proudly delivered personable dental care to the Creve Coeur, Missouri community for over 30 years. Our warm, caring chair-side manner and personal attention to each patient's needs is as important to us as the comprehensive dental care we provide. Those who have chosen Feigenbaum Dental for their oral healthcare needs can attest to the clear communication, comfortable care, and clinical excellence that patients receive. 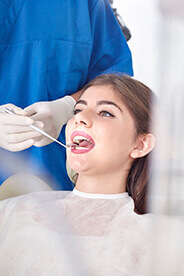 Whether you seek general dental care or desire the most cutting-edge cosmetic dental procedure, our caring team of professionals welcome the opportunity to work with you and your family to achieve lifelong healthy smiles. With the help of our dentists and team, you will receive tailored dental treatment that leads to oral health and beautiful results. We make it easy for families to find much-needed oral healthcare, including periodontal therapy, children’s dentistry, and endodontics. Feigenbaum Dental offers 24-hour access to emergency dental care, which is one more way we are committed to your comfort and security. Our patients appreciate the level of dental care and comfort offered at Feigenbaum Dental in Creve Coeur, MO, and we use our experience coupled with our extensive care options to personalize your treatment plans to meet your specific needs and goals. 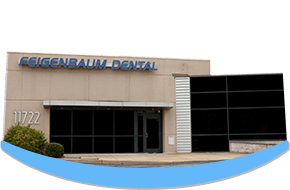 With conservative treatments and modern technology, we offer contemporary dental care to Creve Coeur and surrounding communities, making it easy to choose Feigenbaum Dental as your dental care provider. 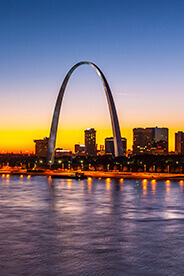 Dr. James Feigenbaum and Dr. Jenna Feigenbaum were born and raised right here in Creve Coeur, Missouri, and they enjoys serving the community with excellent general and cosmetic dentistry for increasing health and ensuring confidence. When you visit Feigenbaum Dental, we listen carefully to your questions and concerns, and we set your mind at ease with the information you need to make the best healthcare decisions for you and your family. Our friendly staff makes it easy for you to navigate every aspect of your care, from financing to treatment planning to the actual visits themselves. Our Creve Coeur dental office focuses completely on your oral health, which is why we offer routine dental cleanings, checkups, and other general family dentistry services. You can come to us for everything from your child’s first dental visit to your own dental exams and hygiene appointments, but we also perform advanced restorative dentistry as well. Because we offer a full range of treatments, including crowns, bridges, dental implants, root canal therapy, there’s no need to entrust your care to anyone else once you’ve visited Feigenbaum Dental. We also believe that you will be so impressed with our gentle approach and compassionate team that you will feel like part of the family after just a few visits. We want to invite you to experience the gentle touch of Dr. James Feigenbaum and Dr. Jenna Feigenbaum at our Creve Coeur dental office. Our excellent dental care is equaled only by our friendly, service-oriented attitude, making you feel right at home the whole time you’re visiting Feigenbaum Dental. 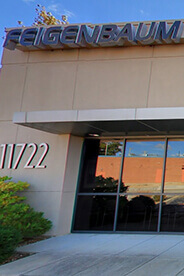 We are conveniently located near I270 and Olive Boulevard, in the heart of Creve Coeur. We also see patients from all over Creve Coeur, including Maryland Heights, Chesterfield, Clayton, Ladue and Town and Country. To make an appointment with Feigenbaum Dental, give us a call!